I don’t know why, but I remember buying this on vinyl around '81/'82 and it was the most expensive album I had bought at that moment in my life, and remained so for many a year. Almost eight bloody quid it cost me at our local WH Smiths! It was never in the sales!! ‘On Stage’ was rare in the 70s, as Rainbow had just two albums under their belt. The third studio album was due for release late Summer 1977, but after the departures of Carey and Bain, ‘LLRNR’ didn’t surface until 1978. 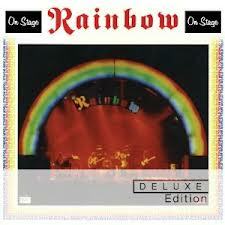 ‘On Stage’ bought Rainbow some valuable time. So to do ‘On Stage’ took some balls. 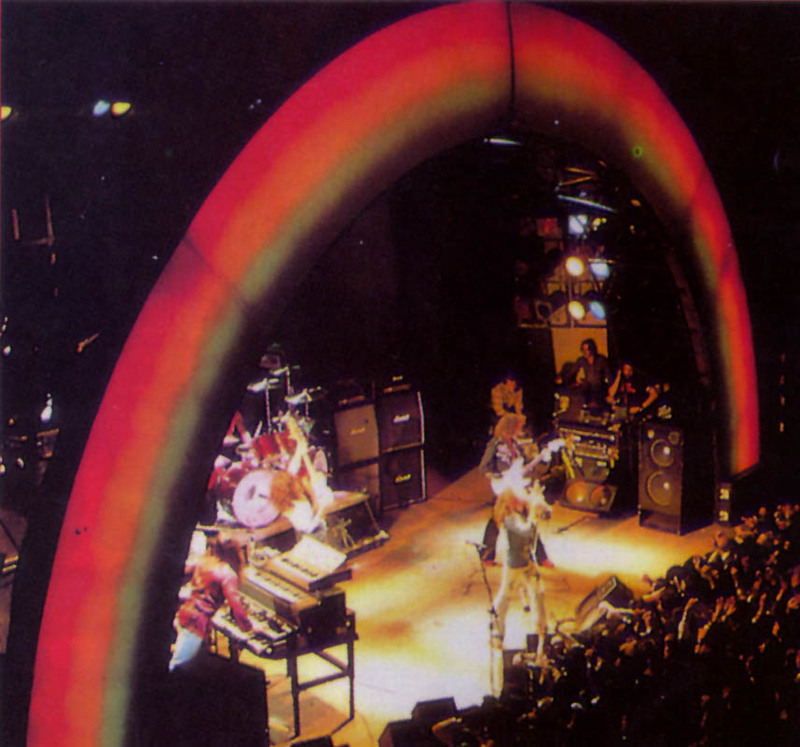 It took years for Purple to come up with the legendary ‘Live in Japan’, yet Rainbow just two! This typified Blackmore's confidence; in his band, and particularly in his playing. As a massive Rainbow fan, you may feel a little disappointed as the then staples of ‘A Light In The Black’, and ‘Stargazer’ are missing from the bonus section. There are valid reasons for this as the original tapes are hidden away as securely as Jimmy Savile's diaries. Only one of the eight shows recorded (four in Germany, and four in Japan) captured ‘ALITB’, but ‘Stargazer’ was played at almost every gig during this period. Bugger! 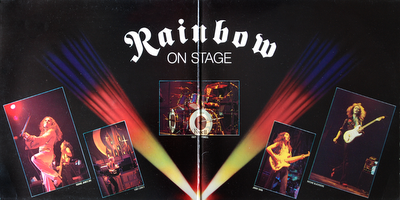 The original ‘On Stage’ was (due to vinyl constraints) moved around from a commercial standpoint, and proves that Martin Birch was a genius, as the quality is impeccable and his editing skills in removing Powell's thunderous 1812 drum solo, and he even spliced parts of songs from different shows, resulting in an album that stands tall against any of the studio releases. The extended versions of ‘Mistreated’, ‘Still I'm Sad’, ‘Sixteenth Century Greensleeves’, and ‘Catch The Rainbow’ are truly phenomenal versions, to the point where it’s difficult for me to dig out the originals as they are poles apart from the live versions. If you're buying this, then you're in it for the bonus disc as ‘On Stage’ requires little critique. Apart from the loud hiss still present (16th C in particular). As a live album, it’s up there with the very best. Disc 2 is taken from a show in Osaka on 9/12/76 (Ah, I was 9!) so I'm assuming that the sequence of this disc is more in line with the original running order. What it does show is that Rainbow was an organic experience, growing and developing all the time, with every passing gig, with Blackmore improvising to his heart’s content, pulling the rest of the band with him in wild abandonment. ‘Catch The Rainbow’ and the ‘Medley’ being particular examples with Ritchie showing his classical chops, and throwing in his love for ‘Lazy’ as a part of the medley as well as lots of toying with the audience, and is a good 14 mins longer than the vinyl version. The only real addition from the original is Do You Close Your Eyes expanded and with some added welly. Despite the lack of ‘Stargazer’, ‘On Stage’ is still an album to behold and to get your mitts upon. Ritchie and Ronnie (and Rainbow) never sounded better live!